Looking for the perfect blackjack variant? Look no further. Perfect Pairs essentially shares the same rules as classic blackjack but also allows an additional side bet. This bet lets you wager on whether the first 2 cards will be the same or not. As the game begins players are dealt two cards. One of the cards faces up and the other is dealt facing down. The object of the game is to get the closest to 21 without going over. A "Blackjack" will automatically win the game. This is a hand which is made up of an Ace and any card worth 10 points. Card point values are the same as in the original game. Boost Your Bankroll. Play Blackjack + Perfect Pairs Now! How about a Blackjack game where you are given an additional chance at winning a lot more cash? That's what Perfect Pairs is all about; winning big. Perfect Pairs follows the same rules as in standard Blackjack and offers an additional bet that is won by getting a pair. Perfect Pairs is a thinker's game and a game for those in search for a game filled with challenges and juicy payouts. At the beginning of Perfect Pairs, the player makes their initial bet and receives two cards face up. The dealer gets one card face up and the other face down. The goal of Perfect Pairs is to score as close to 21 points for as possible without going over. Pontoon offers special payouts for a Blackjack. While playing a hand you may Hit or Stand, Double or Split during your turn, as long as the value of your hand has not exceeded 21. Once the value of your hand exceeds 21, you lose or bust. If there is a tie your cards get pushed back to you. When you place a bet on Perfect Pairs you are betting that your first two cards will be a pair. Always keep in mind that the dealer will always stand on a hand of 17 or better. Double your bet every time your hand score is 11 or lower, do not double otherwise as the odds against you are greater than the possible rewards. One last tip, as tempting as it may be to split two 10's don't do so, chances are that you will most likely lose that hand. Deal: once you have place you bet, press Deal to be dealt the cards. Hit: press Hit if you want another card to be dealt to you. Stand: press Stand if you wish to play with the cards you already have. Double: press Double to be dealt one more card and double your bet. Split: whenever you get two cards of the same value you may press the Split button to separate the two cards and play with more hands. Can't get enough Blackjack games? Love the different varieties on this old favorite? 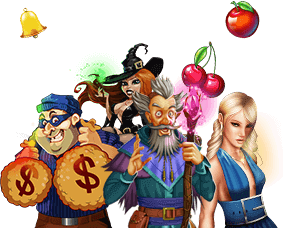 Enjoy BJ + Perfect pairs instantly at Slots of vegas Online Casino where you can play the original version of Blackjack for free, without having to download any software! The game loads instantly from the website and you can enjoy hours of endless free entertainment.